Question 8. If I were to catch a queen ant, would it be recommended to feed her some protein as well as sugary foods like honey? I was thinking about this because I’ve read that the eggs and larvae would need protein to grow properly (I’m guessing for muscle development and such). So is peanut butter a good protein choice, in substitute of other insects? I’m worried that peanut butter wouldn’t have all the essential amino acids because peanut butter is an incomplete protein. But I’m not sure about ant development and physiology, so I’m curious. The answer to this question depends on what kind of ant queen you find. In many temperate ant species, the queen starts a colony via what is called “claustral” founding. In this case, she seals herself off from the world as much as possible, often forming a special chamber. Then the queen lays her first batch of eggs. Until those eggs complete development and eclose into worker ants, it is likely the queen will not feed at all. Usually a queen in this case is surviving on the fat reserves she stored while in her natal colony, as well as the breakdown products from the deterioration of her flight muscles. The queen has no further use for her flight muscles once she has removed her wings, so the muscles break down. 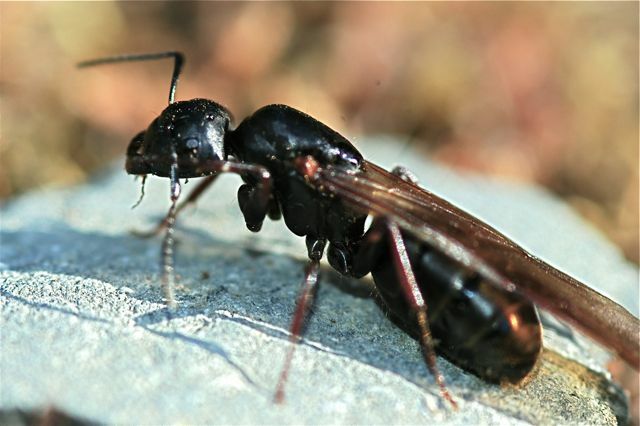 Carpenter ant queens have claustral founding. You might want to give new queens a bit of honey- or sugar-water solution absorbed into a piece of cotton ball or paper towel wad. Just so you know, adding any food always increases the chance of introducing unwanted molds or bacteria. Once the little colony is underway, you can start feeding. To figure out the best foods, do some research on your particular species. Many scientists prepare a general diet useful for a variety of species. One of the earliest is known as the Bhatkar diet, named for the scientist who developed it. Hoelldobler and Wilson have a section on culturing ants in the back of their book, The Ants. It gives the recipe for Bhatkar diet. (Try Google Books). The Myrmecology Forum also has a link to a .pdf file of the original paper with the recipe. Basically it is honey, an egg, vitamins and agar (available online). You mix it up, cook it to get the agar to thicken, and then cool. Supplement the diet of predator or scavenger ants with small amounts of freshly killed insects, such as mealworms or crickets, both available at many pet stores. You can also maintain mealworm/cricket cultures of your own. I have used tuna in a pinch. I’ve never tried peanut butter. It might be a bit sticky and the ants could get stuck in it, depending again on what kind of ants you have. The maker of this video has some good ideas, such as putting the food on a bit of foil, to help with clean up. I would also soak it into cotton or paper towel to prevent workers getting stuck and drowning, but this person didn’t find that necessary. BHATKAR, A. P., AND W. H. WHITCOMB. (1970). Artiﬁcial diet for rearing various species of ants. Florida Entomol. 53: 229-232. COHEN, A. C., AND L. K. SMITH. (1998). A new concept in artiﬁcial diets for Chrysoperla ruﬁlabris: The efﬁcacy of solid diets. Biol. Control. 13: 49-54. This diet has been used for fire ants successfully. 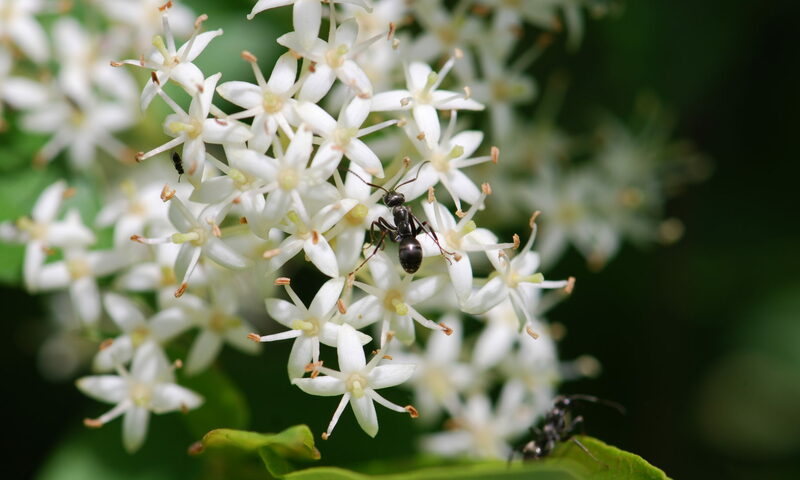 Ant Cam website has many FAQ’s useful for ant farms. Try What is good food for ants in my ant farm? for two different diets and advice. Does anyone have any other great websites or papers with useful information on feeding queen ants and new colonies? Next PostNext Can Ants Digest Chitin?